Students learn best when the material is presented in a manner that is relevant and meaningful to their lives. 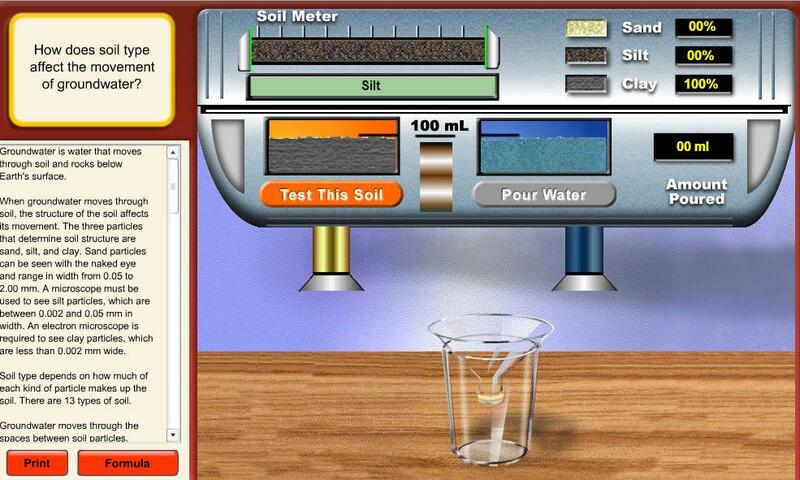 This assignment brought in the social media tool, "Facebook", in order to demonstrate understanding of the soil profile. 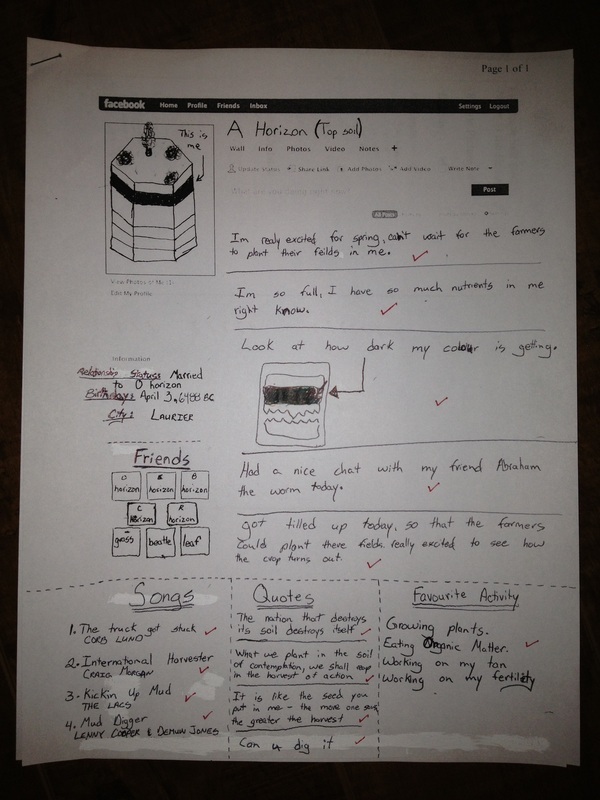 Students choose a specific horizon from the Soil Profile and create a "Facebook Profile" to illustrate their learning. Students are asked to include items that would be found on a standard "Facebook Profile" including birthday, status updates, friends, and more. To accommodate a classroom that had students in class as well as through teleconference, a virtual lab was introduced to give all students the same opportunity. Students explore how soil texture affects permeability and porosity by individually testing thirteen different soil samples (from sand to heavy clay). The lab follows the process of scientific inquiry and required students to make predictions, record data and answer questions based on their findings. The Dust Bowl is often referred to as the "greatest man-made ecological event in North America" and can be directly linked back to poor Agricultural practices. Students are asked to create "mini museum displays" that feature a type of media, an artifact, and a written report. A booklet is provided that includes six different assignment options, to give students choice, and appropriate marking rubrics for students to self assess.